Significant deductions can be made from these results. Two research groups independently discovered a new and rare lung cell. The fact that these cells, which make up only 1% of all cells in the lung, are responsible for the synthesis of many proteins that cause cystic fibrosis seems to help researchers find new treatment methods in the future. Cystic fibrosis; mutations are a genetic disease in both copies of the protein-encoding gene called cystic fibrosis transmembrane regulator (CFTR). CFTR is a protein responsible for the production and release of body fluids such as mucus and sweat. When the gene responsible for this protein does not function, the secretions that are usually fluid are starting to come to a dark consistency. This is the cause of many symptoms of the disease, including lung and sinus infections that become commonplace. "Cystic fibrosis is a very well studied disease and we are still continuing to explore a completely different biology that will change our approach to approaching the disease," says Jayaraj Rajagopal, a head shot at one of his studies and a doctor at Massachusetts Hospital in Boston. "Right now, we have a draft of the new cellular story of lung disease." Two research groups have started to work out a map of the cells that make up the respiratory tract. They have analyzed the expression of tens of thousands of individual cells one by one. When the analyzes are over, the teams compare the gene expression patterns and list the different cell types, stages, quantities, and distributions in the respiratory tract. One type of cell they have identified is a type of cell that they have termed as lung ionocytosis and have not been observed before. In the case of the CFTR protein, it is known that there is a low expression in the ciliary cells, which are usually a common lung cell. But according to researchers' findings, this newly discovered lung ionocyte cell has an exceptionally high CFTR protein expression level. This may mean that these species may cause cystic fibrosis if they are mutated. Rajagopal's team later found that mice had destroyed an important molecular process in the lung ionocyte cells and that some symptoms related to cystic fibrosis (eg, dark mucus) had come to fruition. Although these results are not conclusive evidence that cystic fibrosis has arisen due to lung ionocyte cells, it is a concrete piece of research that shows that the direction is right. According to Amy Ryan, who is not involved in two studies and is a lung biologist at the University of South California, these findings are of great importance. "These two studies are extremely exciting," Ryan said in a statement to The Scientist. 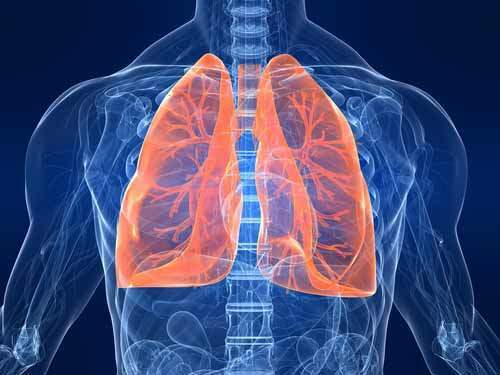 "Using the Single Cell RNA Sequencing technique, they have analyzed cellular structure and cellular hierarchy in the respiratory tract. I hope that this information will have an important effect on the development of new therapies for many respiratory diseases, as we can improve our research further. " Researchers hope to be able to examine many diseases and cell maps using this new information. "Many of our symptoms are reshaping our approach to lung biology and lung cells," says Rajagopal. "I believe that all chest diseases specialists and lung biologists should stop for a moment and think all their problems on the basis of these new cells."